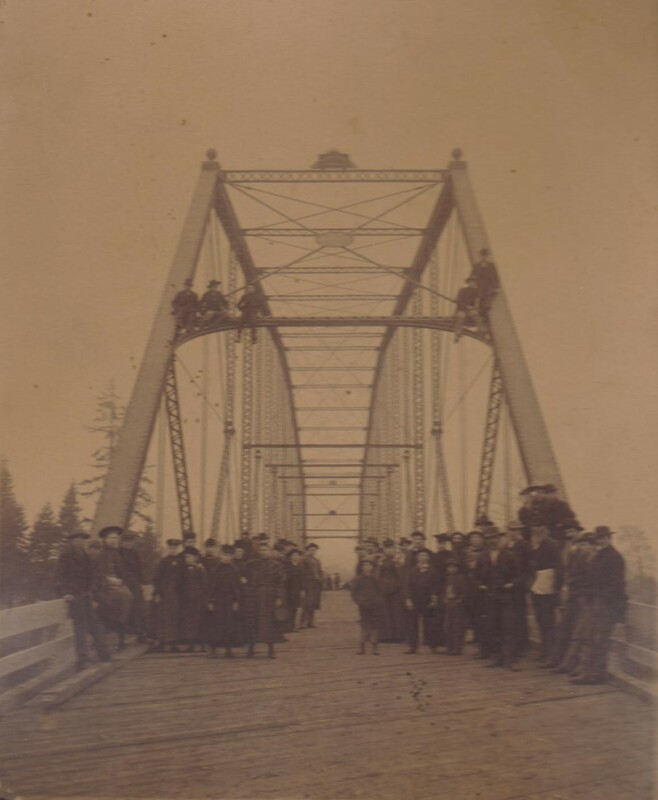 This photograph was taken in the late 1890's soon after the completion of the second Ferry Street Bridge which replaced the wooden covered bridge of 1876. The view appears to be from the north bank facing into town. Notice the familiar Oregon winter fog in the background. The earlier covered bridge had been compromised in the flood of 1890. 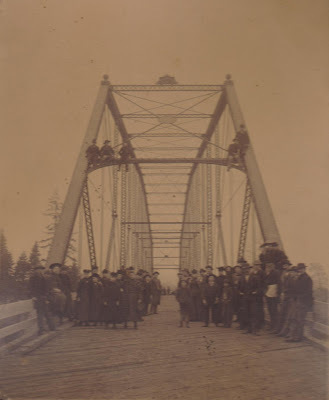 The flood was so severe that the north approach to the bridge was washed away and the actual course of the river changed, necessitating the addition of a new span to the old bridge. One has to admire the young men perched on the cross beam, it has to be at least 20 feet above the road bed. Especially nonchalant is the young boy in the middle with both hands thrust in his pockets and his legs dangling precariously. Second Ferry Street Bridge, View From The South.